DENVER — Tourists are coming to Colorado in droves this summer, and it’s not just visitors of the two-legged kind. Our state is seeing an infestation of bed bugs. Christina Thomas experienced it first hand. Thomas was visiting an Extended Stay America in Colorado Springs and says she woke up to find bed bugs all over her pillow. “I woke up and three inches from my face I see a spot, and I look at it and say ‘no way, is that a bed bug? '” she said. Christina isn’t the only person dealing with bed bugs in Colorado. Jacob Marsh is one of several Denver exterminators absolutely overwhelmed with bed bug calls. “It’s infestation levels over the whole city pretty much,” he said. “Right now we’re working 6 or 7 days a week,” said Marsh. He says this is the worst time of year for bed bugs. 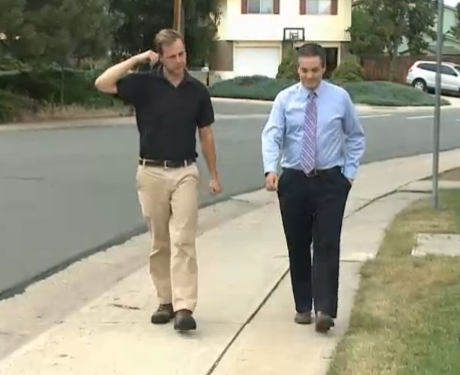 However, Colorado’s infestation actually began several years ago. He estimates more than 3,500 homes are treated for bed bugs in the Denver area every year. It’s a problem Marsh attributes to both the state’s growing population and Colorado’s popularity as a tourist destination. “Denver is usually ranked 4th to 6th worst in the nation. We get a lot of good things when things are booming like it is, but unfortunately when people are coming in and traveling you also get a lot of unwanted visitors,” he said. If you’re staying at a hotel there are things you can do to try and keep the bugs away. First, store your luggage away from the bed on luggage racks or even in the bathroom. Also, check the sheets, mattress, and bed frame for signs of the bugs. One of the biggest misconceptions about bed bugs is that they’re too small to see. Most are actually about the size of an apple seed, and similar in appearance. As for Christine Thomas, she isn’t taking any chances. She checked out of the hotel and left. BedBugs Plague New Jersey Library – Summer Reading? City officials say that after receiving a complaint, staff at the South Orange Library found bedbugs inside the library furniture. Library patrons say they’re not surprised by the news, and extermination experts say that anyone who has visited the library should thoroughly examine their homes for the bugs and bug bites. Community members say they just hope the library takes care of the problem quickly. There is no word yet on when the library will re-open. Bedbugs ruined a night at the movies in recent days for at least two sets of customers just outside of Buffalo, WIVB reports. The bugs began biting one mother and her 3-year-old during “Alice Through the Looking Glass” at the Regal Cinemas on Elmwood Avenue in Buffalo, according to the report. Taneeya Goodwin and her boyfriend were attacked by the insects Monday night during a screening of “Teenage Mutant Ninja Turtle,” according to WIVB. Both women documented the bugs and bites with their cell phones. Earlier this year, WIVB reported that Buffalo ranked No. 20 on a national list of places likely to have bedbugs. The television station reported it has received complaints about the theater for months. Regal did not respond Tuesday to the station’s request for comment. The University of South Florida is dealing with an infestation of bedbugs. But instead of invading USF’s beds or dorms, the bugs have infested its classrooms. Six classrooms and a reception area in the Muma College of Business building are infested with Cimex lectularius — the common bedbug — USF officials said. University employees discovered the bedbugs last week after a student complained about bugs in Room 118. They had infested chairs and furniture, and they can travel along the floors and walls. Pest-control company Terminix treated the building, including spots where the bugs weren’t found. The area is being monitored for followup treatments. “While repulsive, bedbugs are not considered a medical or public health hazard,” College of Business dean Moez Limayem wrote in an email to faculty and staff on May 19. In what Limayem called an “abundance of caution,” all classes in the newest portion of the Business Administration Building, where the bugs were found, have been relocated for the rest of the Summer A semester, which ends June 24. This isn’t the first time the building has been besieged by bugs. In 2013, three classrooms were treated for bedbugs over a monthlong period. Two of those rooms saw the bugs return in this latest infestation. A spokesman for the Florida Department of Business and Professional Regulation, Travis Keels, said the agency doesn’t keep track of bedbug infestations in universities or schools, only in places that offer food and lodging. 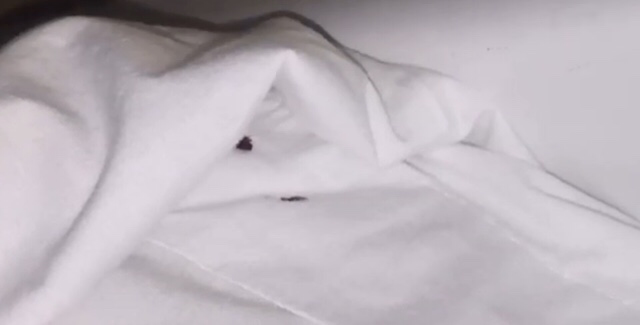 If a state inspector finds bedbugs in a hotel room, for example, a 14-day warning is issued and the specific room cannot be rented until it clears another inspection. Bedbugs are known to be excellent “hitchhikers,” said National Pest Management Association spokeswoman Cindy Mannes. When they bite, the bugs numb the surrounding skin and can latch on without being noticed, she said. They also stick to fabric and are known to be an elusive and hard-to-control pest. “People can bring them in with them and not even know it, and then the (bugs) can survive for 30 days without a blood meal,” Mannes said. Bedbugs shouldn’t be viewed as a sign that an area is unclean, said Brittany Campbell, an entomologist at the University of Florida. The bugs feed off human blood, but so far haven’t been found to carry any diseases. Still, they can cause allergic reactions like blisters or, if an infestation gets out of hand, can lead to anemia from blood loss, Campbell said. This year, the Tampa and St. Petersburg area ranked 31st on Orkin’s list of “Top 50 Bedbug Cities,” which ranks locations based on the number of bedbug treatments the pest-control company administered in 2015. Mannes said Chicago topped the list for the fourth year in a row, likely because of the amount of international travel in the city. While no government agency keeps track of bedbug infestations, the National Pest Management Association’s annual surveys have found the populations grow every year as the bugs adapt. Fox 59 INDIANPOLIS, IND. – An Indianapolis man is speaking out against IU Methodist Hospital after he says he found a bed bug crawling on his wife’s hospital gown, just hours after she gave birth. “Look at this, this is a bed bug,” says Jayson Everett. In a live video stream that now has more than 25,000 views, Jayson Everett captures raw video of an alleged bed bug crawling around on his wife’s hospital gown at IU Methodist. “This is disgusting, I have a newborn in there,” says Everett. Everett tells FOX59 News that he found the bug just hours after his son was born on Friday, crawling around next to his newborn while his wife was trying to breastfeed. One of the staff members in the video does admit that it looks like a bed bug, and says they will take care of it. “It was the IU Medical wrap with the IU logo on it that they put him in and as soon as we got him stripped all the way down, a bed bug fell out. I went out to the nurse’s station and said there is a bed bug in here!” says Everett. Everett’s claims became more heated towards the IU staff, which needed to call security to try and calm the situation. He was escorted out of the hospital and says he has not been allowed back inside to see his wife or new baby for two days, he feels penalized for speaking up about the alleged incident. Everett is worried that his wife and baby may have been bitten by the bed bug that is best known for feeding on human blood. “Your hospital is dirty, so I have to pay for it because I blew the whistle? Not my fault, you should have told the public a long time ago,” says Everett. How Protected Are You Against Bed Bugs? What if you had to walk into your home or property right now and throw away every mattress, couch, chair and all of your linen? What kind of loss would that be for you? Most likely it would be devastating! What if you could protect yourself from this kind of loss? Our pesticide alternative, Live Free Bedbug Barrier System works as a PREVENTATIVE measure so you would never have to worry about the cost or effects of having to throw away such expensive items due to an infestation. Our products are discretely installed and remain effective for 2 years given that they are not soiled with water. Our products are a responsive as well as a preventative solution to bed bug infestations. We offer a safe alternative to current pesticide treatments. 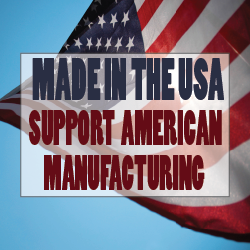 All of our products are toxin free, EPA exempt and GRAS (Generally Regarded As Safe) certified. Products are designed to work together to provide an integrated pest management solution. Products can be easily installed within 2-3 hours. Once you install our products, they are effective 24/7/365 up to 2 years. We have created an easy risk assessment guide to determine how susceptible you are to a bed bug infestation. 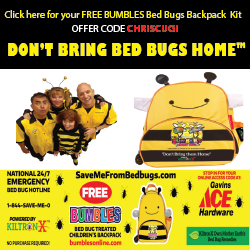 Click Here to request your free Live Free Bedbug Barrier System, Pesticide Alternative, information kit. Bed bugs that take blood meals after being exposed to pesticides are more likely to survive, according to research. The researchers suggest that insecticide efficacy testing protocols should be changed so that they include using recently fed bed bugs, and that bugs that are fed one to three days after being exposed to pesticides. “Our results indicated that post-treatment feeding significantly reduced or slowed down bed bug mortality,” the researchers wrote. This difference is important because most experiments that test the efficacy of insecticides against bed bugs are performed in labs where the bed bugs can’t feed after being exposure. However, in the field, bed bugs can feed after being treated with an insecticide, and the reduced or slowed mortality could give them a chance to reproduce. The researchers suggest that feeding “stimulates detoxification enzymes responsible for insecticide resistance,” which is why more bed bugs survive after taking bloodmeals, so using insecticides in tandem with other control methods is the best option. “Incorporating non-chemical methods into bed bug control is very important in order to achieve good results,” said Singh. ‘Chagas Considered Emerging Global Disease’ – CSUF Researchers study spread of Plague to Parasites. Note, Kissing Bugs are cousins to Bed Bugs. Trypanosoma cruzi, a parasite that causes Chagas disease, is being studied by Veronica Jimenez, assistant professor of biological science, and her students. With outbreaks of infectious diseases on the rise — most recently the Zika virus — Cal State Fullerton scientists and their students are conducting studies to help understand and stop the spread of infections. Veronica Jimenez, assistant professor of biological science, and her students are studying a parasite called Trypanosoma cruzi, which causes Chagas disease and is transmitted to animals and people by an insect vector similar to what happens with the Zika virus. Chagas disease affects millions of people in Latin America and Africa, and last year, an increased number of cases was reported in Texas. Due to such increases in the U.S. and Europe, it is considered a global emerging disease, Jimenez said. The parasite multiplies and travels through the bloodstream to tissues and even the heart, possibly leading to life-threatening cardiac complications and other health problems, Jimenez said. Pregnant women also can transmit the infection to their babies in the same way as the Zika virus. “There is no cure and no vaccine for Chagas disease,” said Jimenez, who grew up in Argentina and worked in public hospitals, where she saw newborns and adults infected. Jimenez and her students are investigating how the parasite is able to adapt, survive and multiply in changing and different environments, as well as infect different organisms — from people to cows, dogs, cats and other mammals. “The problem is we know so little about these parasites. We need more research to fight these bugs, including developing new drugs and treatment options that impair the parasite’s ability to survive,” Jimenez said. For the past decade, Paul Stapp, professor of biological science, and his colleagues have been studying the ecology of plague in Colorado’s black-tailed prairie dogs. Daniel J. Salkeld, a former CSUF postdoctoral scientist, holds a prairie dog. He is the lead author on a study about Colorado’s black-tailed prairie dogs, an iconic rodent of the Great Plains. The National Science Foundation-funded, multi-institutional research offers significant insights into the study and tracking of zoonoses, infectious diseases that are transmitted by animals to humans, said Stapp. The study demonstrates how plague spreads across the shortgrass prairie landscape, wiping out entire colonies of prairie dogs. The lessons learned from such research can help in the study of other zoonotic diseases, including the Zika and Ebola viruses. Zika, transmitted by mosquitoes, has spread from Africa to across the Americas. The disease may have serious consequences for pregnant women, with some babies born with severe birth defects. This week, the World Health Organization declared Zika a global public health emergency. “To truly understand the risk to humans, we need to know about the ecology of disease in the wild populations that are involved in spread,” Stapp said. The collaborative research represents one of the most comprehensive studies of the ecology of any disease system, revealing aspects of the biology of multiple vector and host species and their interactions, Stapp explained. Plague is a bacterial disease spread by rodents and their fleas that is best known for killing millions of people during past epidemics. Epidemics still occur in developing countries, Stapp noted. The pathogen was introduced to the United States at the turn of the 20th century, with the last urban epidemic in 1924 in Los Angeles. Stapp added that the study shows that plague outbreaks are likely influenced by climate patterns, such as El Niño. Some experts suggest that El Niño, which could significantly increase populations of exotic mosquito populations, has contributed to the spread of the Zika virus. Stapp and his colleagues’ research was published last month in BioScience, a journal of the American Institute of Biological Sciences. Lead author Daniel J. Salkeld of Colorado State University was a postdoctoral scientist in Stapp’s lab in 2005-06. Stapp’s students made significant research contributions, resulting in thesis projects of four graduate students and projects of two undergraduates. Their lab and fieldwork also resulted in 18 peer-reviewed scientific articles and more than 15 conference presentations and seminars. In case your phobia of bedbugs wasn’t torturous enough, here comes a new study that suggests the pesky insects are getting stronger. Researchers in Australia found the bedbugs with a thicker “skin” are more resistant to common pesticides. The pests are becoming more prevalent, and the scientists hypothesized that these thicker exoskeletons could be one reason why. The study, published in the journal Plos One on Wednesday, found that the thicker the exoskeleton, or cuticle, of a bedbug, the more time it took to “knock down” the insect — which was defined as the bugs not being able to get back up when they were stunned or knocked out by pesticides. “The new findings reveal that one way bed bugs beat insecticides is by developing a thicker ‘skin,’” David Lily, a PhD candidate at the University of Sydney and a co-author of the study, said in a statement. The scientists studied the bedbugs using a pyrethroid insecticide, a class of chemicals that bedbugs have become increasingly resistant to, Lilly told Newsweek. The researchers found that the mean cuticle thickness of a bedbug positively correlated to the time it took to “knockdown,” with significant differences between bugs knocked down within two hours, four hours, and those that were still unaffected at 24 hours, according to the study. And in case you’re thinking “Didn’t I already know this?” that’s because you did. In January, another study conducted in the U.S. found that the bugs are becoming resistant to other pesticides. Deep breaths. Sleep tight and Be afraid…be very afraid. Not only are there more bed bugs about in North America in Europe, but more of them appear to be carrying two types of superbugs – methicillin-resistant Staphylococcus aureus (MRSA) and vancomycin-resistant Enterococcus faecium (VRE) – bacteria that are resistant to antibiotics and very hard to treat when there is an infection. Staph infection caused by MRSA is extremely difficult to treat because it is resistant to most antibiotics, including oxacillin, peicillin, methicillin, amoxicillin, and even methicillin. VRE bacteria are resistant to vancomycin, an antibiotic. They are strains of the genus Enterococcus. Bed bugs, also known as Cimex lectularius (Cimicidae) are tiny wingless insects that feed exclusively on the blood of warm-blooded animals, including humans. During their evolution they have become common nest parasites, infesting bird nests and bat roosts. Some bed bugs have learnt how to thrive in our nests, meaning our homes, and especially our beds. A baby bed bug is called a nymph and is about the size of a poppy seed. Adults reach about ¼ of an inch in length. They have an oval, flattened shape. Both adults and young are visible to the naked eye. Bed bugs feed on us when we are asleep. As they feed we feel nothing, the process is painless. They inject a small amount of saliva into human skin while they feed. If they keep feeding on the same human night after night, that person can eventually develop a mild to intense allergic response to their saliva. This latest report informs that the MRSA phenotype found in bed bugs is the same as those identified in many Eastside (Vancouver) patients infected with MRSA. The scientists believe that the bed bugs probably promote the spread of MRSA in impoverished and overcrowded communities. The study took place in a poor part of Vancouver. The researchers examined five bed bugs that had been taken from three patients staying at St. Paul’s Hospital – they all lived in Downtown Eastside, a poor part of Vancouver. In that part of Vancouver, MRSA infection incidence and cases of bed bugs had been rising steadily over the last few years. The scientists wanted to determine whether the two were linked. They examined the bed bugs and found that three samples carried MRSA, while another two had VRE. We still do not know whether the humans infected the bed bugs or the other way round. Further research is needed to determine where exactly on/in the bed bug the bacteria were – inside them or on their backs. If bed bugs are able to carry and spread MRSA like the anopheles mosquito spreads malaria, we could be looking at a completely new vector of human disease.